Do you love this chic narrow design? 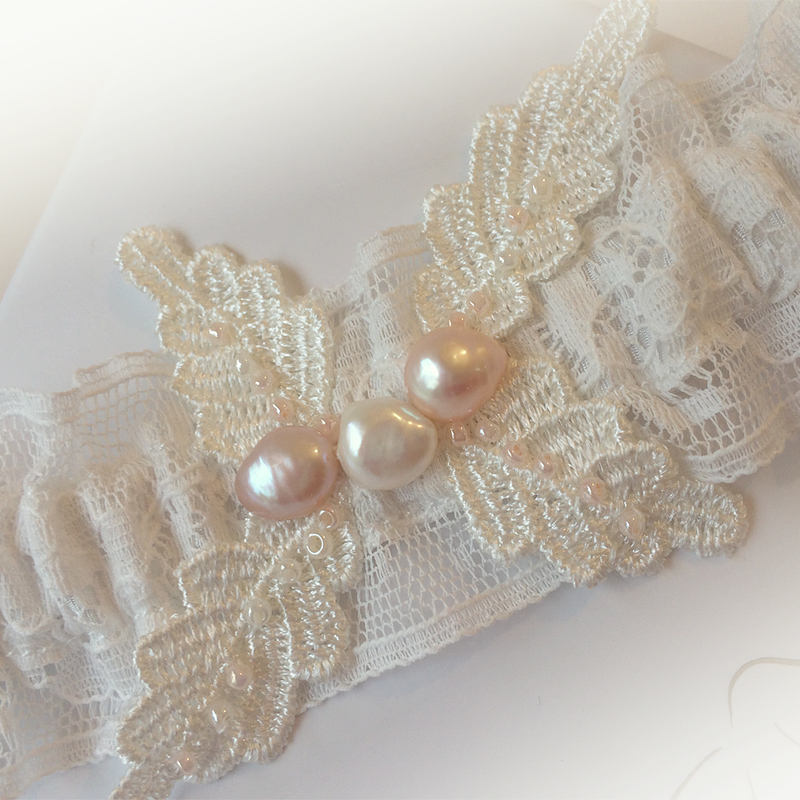 A gorgeous wedding garter with a soft cotton lace band, lined with silk. I hope you like how I’ve stitched the guipure applique with tiny seed beads and 8mm freshwater pearls… I thought it would be perfect for a vintage / boho wedding. 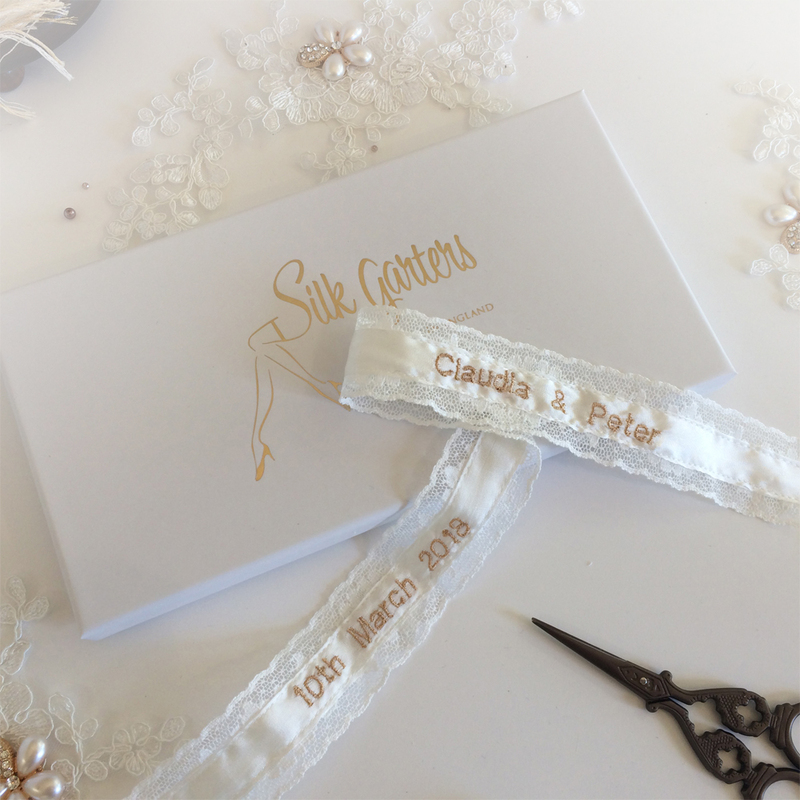 I’ll personalised inside your garter with your names or Mrs… and wedding date. With each one you have 18 characters and spaces to play with, how will you use them? 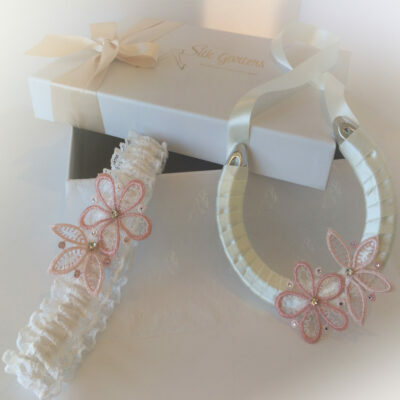 Choose your embroidery colour as your ‘something blue’ or to match your wedding theme!